1. Do I want a teacher directed model or a self directed model. That is, do I want to dictate everything that my child does and when he does it or do I want to work with him on what we both want him to accomplish and let him work on his own. There is a certain level of accountability needed for both models. A child doesn’t just go to his room with his work and play video games for hours and say that he is doing schoolwork. If a child enjoys working independently and can stay accountable to you, then you might want to save yourself some stress and let him work independently and report back to you. 2. Do I want a literature based or textbook based form of education for my child(ren). If you want to use literature, then it’s pretty easy to choose a period of Social Studies or an aspect of Science and find literature to give you information. You could avoid an expensive package by pulling together some literature and using that for home schooling. Your children might enjoy hearing and reading stories more than they would like reading a textbook. 3. Am I willing to risk a high burnout rate and choose a planned curriculum?Sometimes a planned package can become overwhelming and burdensome. If you do purchase one, make sure you are able to make modifications to the program if needed to meet yours and your child’s needs. 4. 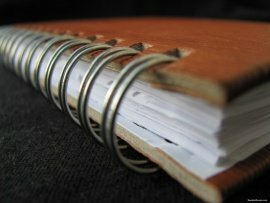 How do my children learn best - by filling out workbooks or creating books and writing about what they learned? Some children enjoy filling out workbooks and can remember what they learned. Other children find workbooks a chore and still others fill out the workbooks but don’t remember what they learned. Are you using workbooks just to be able to make a check mark on your list or are your children truly understanding and learning the material they are reading? These are all questions you need to ask yourself when considering what you want to purchase to help your children learn. Most people have the most success when they are able to adapt a curriculum to their own needs and philosophy of education. If you're still not sure what to do or choose and you want some guidance from a veteran homeschool mom, you can check out my homeschool coaching program. The maze of choosing curriculum and books can be overwhelming at times. There is so much to choose from and many options are very expensive. Who wants to waste money? Not me! I had many homeschool friends that went before me that could tell me what they liked and what they didn't. I still chose things that I later regretted. No one is perfect and can predict exactly what will work for their family and what won't, but with some guidance you can make that "regret" list a lot shorter. If you want someone you can talk to that knows children and knows how to evaluate books and curriculum for families, then contact me and we can talk. 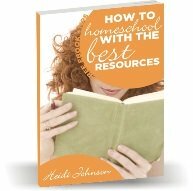 If you just want a list of my recommendations for homeschooling - you can access that at favorite homeschool resources.